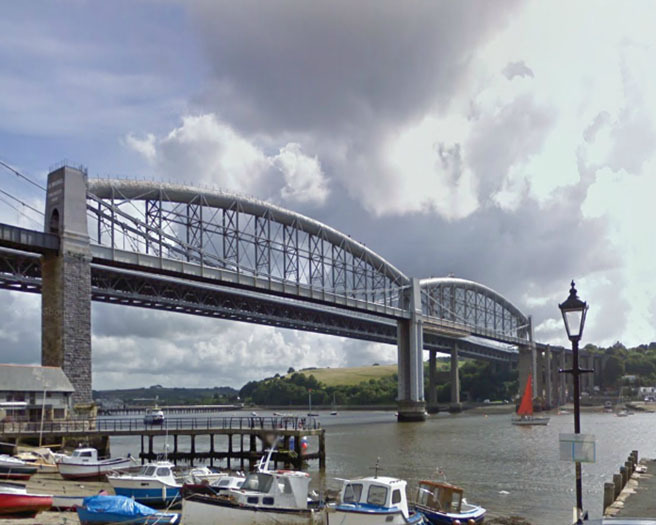 Shangri-La ~ Saltash Passage, Cornwall. 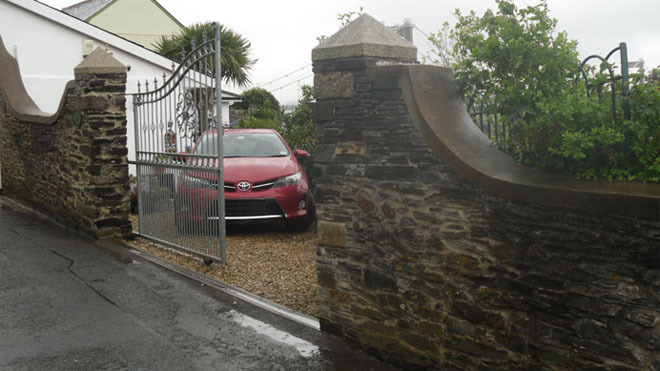 The now named Shangri-La is in fact the ‘Old Station Master’s House’ in Saltash Passage, Cornwall. The Saltash Railway Station opened in 1859. At the same time the Royal Albert Bridge which was designed by Isambard Kingdom Brunel also opened, and the ‘Gateway into Cornwall’ was born. The walls that formed the entrance that led into the former Station Master’s House were in a bad state of repair. 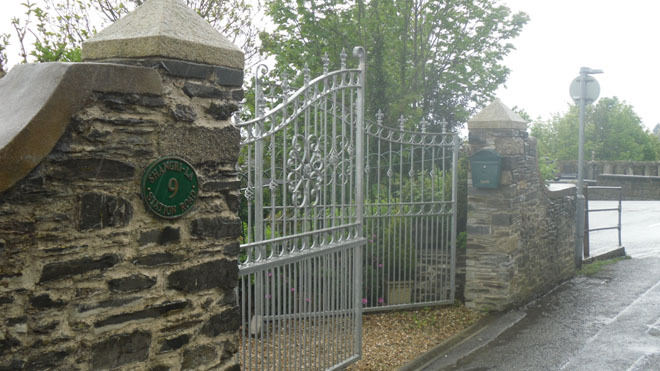 The client asked us build new gate piers, re-form the copings to the tops of the walls and carry out re-pointing to the rest of the stonework. 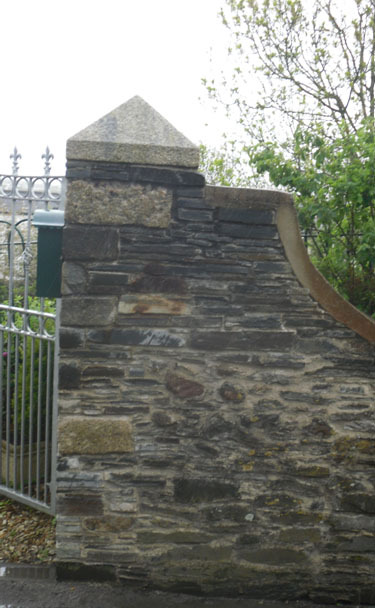 Local slate was sourced so that the piers could be built up to a suitable height for new gates to be fixed. We cut and dressed a couple of matching apex style pier caps and these were set on top of the new piers.